It’s hard to be a woman in a man’s world, and it’s even harder to be one when the world you’re in thrusts you in the glare of the national spotlight. But Atty. 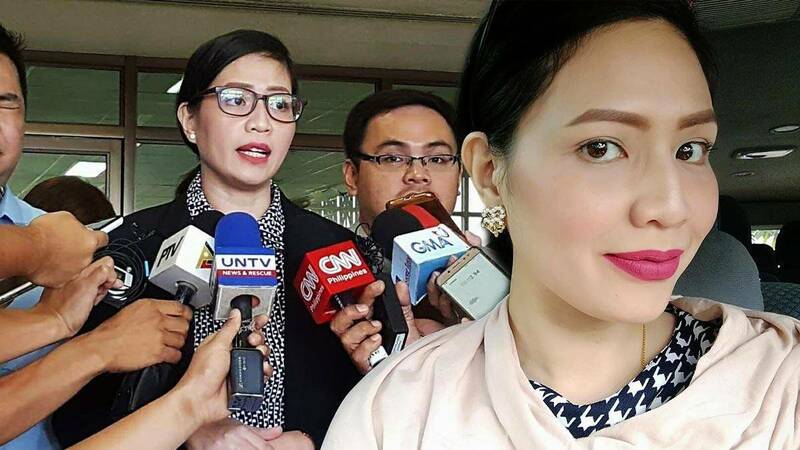 Josalee “Josa” Deinla, the 32-year-old human rights lawyer who serves as spokesperson for Chief Justice Maria Lourdes Sereno in her impeachment case, does just that with no-nonsense mastery and ball-busting skill that would make any girl watching her on TV proud. Here, she tells us what got her on the lawyering path, what it’s like to be a young female attorney reduced to her looks, and why she’s soldiering on through the struggles in her fight for human rights. Tell us how you became a lawyer. While the legal profession—with all its depictions of power and glamor—fascinated my young self, the tedium of studying volumes of mind-numbing law books did not appeal to me. Instead, my childhood dream was to be a broadcast journalist, which led me to take up BA Broadcast Communication at the University of the Philippines. Studying in UP raised my political consciousness and critical thinking, and opened my eyes to the inequality and poverty that have long afflicted our country. It was in UP that my so-called middle-class bubble was burst, prompting me to begin questioning and unlearning most of what I had been taught my whole young life. It was in UP where, in a manner of speaking, flint struck steel, kindling a fire inside me. I became a women’s rights activist affiliated with the UP chapter of GABRIELA-Youth and a student leader representing the College of Mass Communication at the University Student Council. After graduation, a few freelance production jobs and a stop-gap job at a call center, I decided to abandon my childhood dream, and become the lawyer that once intrigued me as a child. Injustice abounded then—state security forces committing gross atrocities and abuses against innocent civilians and aboveground activists and dissenters—as they do now. At the time, a group of progressive lawyers and law students were organizing the National Union of Peoples’ Lawyers (NUPL) to defend and uphold civil liberties and human rights. Once I saw the significant role of lawyers in the peoples’ historic struggle for social justice, I could not look away. I still had the fire in my belly. I had to join the fray. I took up my Juris Doctor degree at the University of the Philippines College of Law, all along desirous of committing my future law practice to the progressive cause. I continued to work while I studied, this time as a legal assistant in a secretariat engaged in human rights monitoring and peace talks. This line of work further educated me on the plight of the Filipino people and the roots of the armed conflict. I was a rather average and unmemorable law student. But I still claim to have made two momentous achievements in my years in Malcolm Hall. The first was attaining the resilience of a future people’s lawyer amid grueling semesters of student loans, tough professors, and odd jobs. The second was winning the Best Paper Prize for my legal research on international humanitarian law and national liberation movements in the context of neo-colonial states. What are some memorable cases you have worked on? While waiting for the results of the bar examinations, I joined the NUPL, which immediately thrust me into the world of people’s lawyering and involved me in several of its active cases. For starters, I was part of the legal teams that petitioned the Supreme Court against the MRT and LRT fare and the Meralco power rate hikes. A few days before I signed the roll of attorneys and took my lawyer’s oath, I met Mary Jane Veloso’s parents, Nanay Celia and Tatay Cesar. As we know, Mary Jane, a young mother of two boys and a victim of state abandonment and neglect, almost paid for a crime she did not commit with her own life, if not for the vigorous campaign by supporters all over the world to save her life. She was my first client as a full-fledged lawyer. Her case was my baptism of fire. 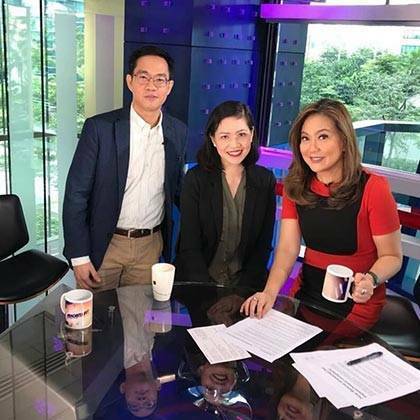 Later, I would also be involved in the human rights cases involving the disappeared UP students Sherlyn Cadapan and Karen Empeño, the violently dispersed farmers in Kidapawan City, and the urban poor arrested en masse in Apollo, among others. I was also part of the team that petitioned the Supreme Court against the burial of the deposed tyrant Ferdinand Marcos at the Libingan ng mga Bayani. Describe your work as a human rights lawyer. I would like to share with you the concept of what we do and call peoples’ lawyering. It is an alternative practice of the law by which we apply our skills in defending the poor and the oppressed and leading the struggle for a just and humane society. Our orientation is towards the active defense, protection and promotion of human rights covering the peoples’ civil, political, social, economic and cultural rights, including the advocacy and assertion of their inherent right to self-determination. Our clientele are the marginalized and oppressed sectors—the farmers, workers, fisherfolk, urban poor, women, youth, students, children, migrant workers, indigenous peoples, Moro people, minority groups, political activists, and human rights defenders. Why did you decide to go into human rights law? The legal profession and the law have unfortunately been known for being servile to power and for being a “sophisticated mechanism of the dominant elite” to perpetuate and breed poverty and injustice. If I did not betray such ill repute, I would be ashamed of myself. I want to make it my life’s work to help tilt the balance in the direction of the poor and the oppressed as part of the greater struggle for social justice and change. You are a volunteer on CJ Sereno's team of lawyers, foregoing a professional fee for this case. Why did you decide to volunteer? To stand and fight with the Chief Justice in these trying times is a worthy cause. The Chief Justice has admirably shown honor and fortitude in discharging the arduous demands of her office and advancing meaningful reforms in the Judiciary. She has nothing to fear as she has nothing to hide. 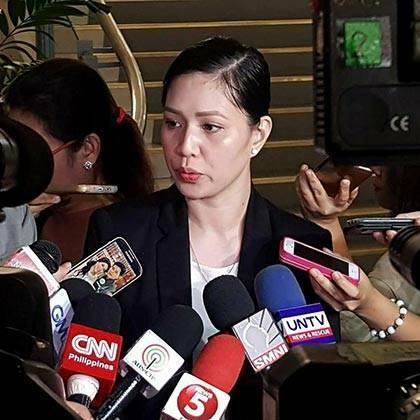 But we all know that this impeachment is not just about her; it is a partisan attack on the institution that is entrusted in the Constitution to check against abuses and curtailment of freedoms. It is a mockery of the rule of law, and, in the final analysis, an attack on our democracy. As a young lawyer and an officer of the court, I cannot abide this. 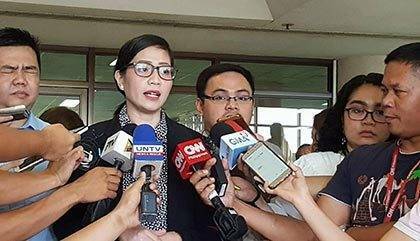 I consider it my legal as well as moral obligation to defend the Chief Justice and judicial independence from the indignity and injustice of such a patently baseless and malicious impeachment complaint. What’s it like to work on such a high-profile case? The Chief Justice’s eloquence is a thing I can only aspire to, especially in the face of the harsh klieg lights and the prying eyes of the public. But I strive to at least channel her magnanimity and the serene visage that befits her name. I also constantly remind myself that such discomfort is a small price to pay for helping make an informed citizenry. At the end of the day, to carry out the task of speaking for verity and justice is as rewarding as it is challenging. How does it feel to be a woman working in a traditionally male-dominated profession? Have you been singled out, belittled, or discriminated against due to your gender, or as a young, attractive woman, due to your looks? I belong to a generation of lawyers where the women outnumber the men. This in fact has been the trend in recent years, which I hope would usher in developments in curbing gender biases in our justice process. A lot of women lawyers have also emerged as trailblazers or have been recognized as the best in diverse fields of the law. It is saddening, however, that sexism remains deeply entrenched in what used to be a male-dominated profession. Even if I am equally capable as my male counterparts, I sometimes feel that I need to work doubly hard to get halfway through. I tend to be described by older male colleagues more often as a “pretty lady lawyer” than as a “good lawyer.” I have experienced being “mansplained” and not taken seriously. Just recently, a male lawyer was heard in a radio interview complimenting me on my looks, but he never discussed the merits of my statements as a spokesperson. I also note the gender dimension in the predicament of the Chief Justice. If her alleged mistakes concerning administrative and internal matters were committed by a male Chief Justice, they would have been forgiven and forgotten. What is worse, the current administration has such great hatred and misogyny for strong female leaders who are known for standing their ground. What we lack in material resources, we make up for in grit, passion and dedication. We also draw strength, militancy and wisdom from our clients and their cause. “We have brave clients. They deserve brave lawyers,” NUPL’s founder, the late Atty. Romeo T. Capulong, used to say. Taking this less-treaded path in the service of the aspirations and struggles of the overwhelming majority of the people for a just, humane, and democratic society is worth all the trouble. It is infinitely fulfilling to score victories and be humbled by defeat from beating the odds in a system that is lopsided or rigged against the exploited and the underdog.